Collaboration across teams & departments – Most RPA projects need collaboration across multiple departments and teams like Operations, Process Excellence, IT Applications, Security & Risk Management. Without alignment across these teams, RPA initiatives struggle during development, or before go-live or after deployment. Governance across IT Application & Infrastructure – Since RPA runs on top of existing applications and infrastructure which undergo changes almost constantly, without a strong governance and change management mechanism RPA initiatives flounder after go-live as bots fail and bot owners quickly loose confidence. Clear visibility of the ROI and Management Support to ensure it – Without clear visibility into benefits from each RPA initiative, management support remains patchy and after putting a lot of effort into development, projects get scrapped as teams start questioning the value from the initiative. CGS RPA team works with customer SMEs to assess front office and back office processes to identify the best candidates for automation and helps prioritize the automation initiatives. Technical bot development services using NICE RPA. Technical Architecture, Solution Design Document, Key Stroke Document to help build the bots. 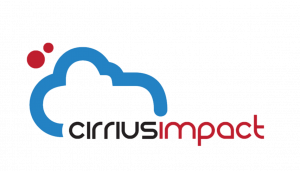 CirriusImpact RPA services to deploy and operate bots. At CirriusImpact , we realize a bot needs to be “on-boarded” and transitioned to the operations team after it’s been developed, tested and deployed. We follow a phased approach to ensure a smooth transition and work with the operations team to educate them about bot maintenance and support processes. Deployment & Migration following a clearly defined checklist, training and guidance to bot owner for operating and maintaining bot. CirriusImpact RPA services to operate and maintain bots. 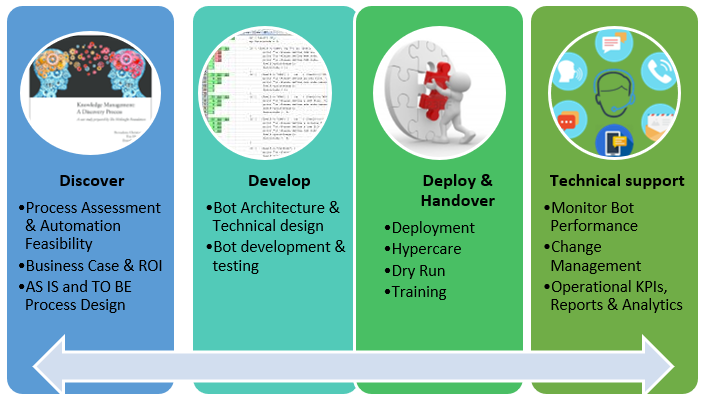 At CirriusImpact, we realize that running a stable bot operations is critical to ensure operations and business teams realize full value of a robotic work force and build organization wide support and championship for robotic automation. Right from our Discovery process, we identify potential risks to bot stability and work with key application owners and stakeholders to address the risks. Ensuring bot stability is ingrained into our methodology and operating model. We give complete visibility into bot operations using NICE’s automation portal – allowing bot owners the ability to stay on top of their operational metrics like transactions processed, % failures, schedule adherence etc. Technical support and monitoring for bots, Operational KPIs & Reporting for tracking bot operations. Start your project with us. We’d love to work with you. When you’re ready to talk, send us a note via the contact form. CirriusImpact have been designed to provide the best reliability in the industry, with fault-tolerant components and near-zero downtime. But should you have questions, our support staff is anxious to help.